Developing Windows services with .NET is not always easy – sure, one can attach a debugger once the service is started (at least when developing on Windows XP / 2003). But this is not exactly an ‘F5’ experience one has with normal programs or even Websites. Another drawback of the “Attach to process” method is that the start of the service cannot be debugged. A common way to circumvent this is to write a System.Diagnostics.Debugger.Break statement within the first lines. This will bring up the Just-In-Time Debugger window that let’s you choose a debugger. Sadly, this does not work any more with Windows Vista / 2008 because services run on an isolated window station. Luckily, there is a solution: A windows service is nothing more than a console application that is started slightly differently. One can take advantage of this by starting the service as a stand-alone program when started normally (via F5 or starting the service from the command line). But if the program detects if it is started by the Service Control manager, run it as a service. So, how can a program check whether it is started by the Service control manager? It depends on the user account the program runs under. If it’s running as “LocalSystem”, one can safely assume it’s running as a service. In any other case, the user account token has a special group membership: The System.Security.Principal.WellknownSidType.Service. 8:         /// The main entry point for the application. 11:         /// The main entry point for the application. I have added a StartAsApplication() method to the Service1 class, because the OnStart() method of the default service template is protected and therefore not accessible. And that is all there is. The service can now be started by just pressing F5. The gain of the F5 experience does not come without a cost – normally, a Windows service runs under a special account (which is hopefully not LocalSystem): NetworkService, LocalService or a dedicated service account. With this approach, the service runs with the permissions of the currently logged on user. Normally, that user account has far more security permissions than the service account would have. For example, the current user might have the permission to host WCF services on arbitrary ports – something only administrators are allowed to do. A service account would need explicit permission to host that service. Another example are private keys of certificates in the LocalComputer store – not accessible for the NetworkService account by default. But if a service needs to access those keys, it won’t fail unless during development. This should be kept in mind.! This was the problem: One assembly was loaded from two different sources. What was the cause? Turns out that the first assembly was loaded because of an assembly reference. This way it was correctly placed in the Temporary ASP.NET Files. But the second instance of the assembly was loaded via reflection with a call to System.Reflection.Assembly.LoadFile. The solution is to use System.Reflection.Assembly.LoadFrom instead of the LoadFile method. Why is this a solution? The main difference between LoadFrom and LoadFile is that LoadFrom goes through the normal Fusion bind process, thus allowing assembly redirection to happen. LoadFile on the other hand, just loads the assembly from the specified location. For more information on this, see this blog posting from Suzanne Cooks blog. While they add a dependency on the .NET Framework at setup time, for applications using a windows service written in managed code, the Framework must be installed on the target computer at the setup time because Windows Installer will start the service during setup. And for all other managed applications you'll need the framework right after the application has been installed (to run it). Since the Framework cannot be installed using a Merge module, it must be installed before the actual setup of the application. I consider myself a fairly good software developer when it comes to managed code. But my C or C++ knowledge is minimum at best. So I can either write solid managed custom actions (where I have a well-tested BCL at hand) or create spooky and unreliable custom actions in C. I prefer the former option. He mentions a problem with managed custom actions using different versions of the CLR. While this may be a problem, you'll mostly write custom actions using .NET 2.0 these days. And .NET 3.0 and 3.5 both use the same CLR as 2.0. What remains of his technical problems is the fact that Windows Installer on Windows 2003 will try to load the .NET Framework 1.1 into the deferred-custom action server when it tries to register assemblies into the Global Assembly Cache, which will fail if you force the .NET 2.0 runtime into the process with a managed custom action. All those strategic reasons might be ok for the Windows Installer team, but I can't wait a few years until the Windows Installer team bakes all the actions I need into the core of the product. And when they do, you'll need Windows 2015 at the very least…. Not an option. Apparently, the Visual Studio Team doesn't consider managed custom actions to be harmful - otherwise they wouldn't give you the option to run managed installers in those Visual Studio deployment projects. But these installers do lack a serious feature: The Windows Installer context. It's not that the installer context isn't propagated to the runtime (You may have wondered what the IManagedInstaller interface is meant for :-) ). Windows Installer Xml also doesn't support managed custom actions out of the box. You have to do this yourself. One option is to decompile a Visual Studio Deployment project and see what Visual Studio does to call a managed custom action. While this will certainly work, you'll end up with a managed installer which has the same limitations as the Visual Studio deployment project: No access to the installer context. Additionally, these installer classes are always called as deferred custom actions. This means that they neither work in the immediate phase of the InstallExecuteSequence nor in the InstallUISequence. To call managed code in-process from the Windows Installer process, an intermediate unmanaged DLL must be called which in turn loads the .NET Framework into the process, spawns an AppDomain and finally runs the managed code inside this AppDomain. This is actually what the Visual Studio Deployment Project does. The approach I'm using here is based on the article "WiX - Managed Custom Actions" by ForestWalk, which in turn is based on two other aricles: "Wrapping the Windows Installer 2.0 API" by Ian Marino and “Hosting the CLR within a custom action” by Pablo M. Cibraro (aka Cibrax). The code in the article make it possible to call managed code in every part of the sequence. But the usage is not very intuitive to use, especially managed installer classes. 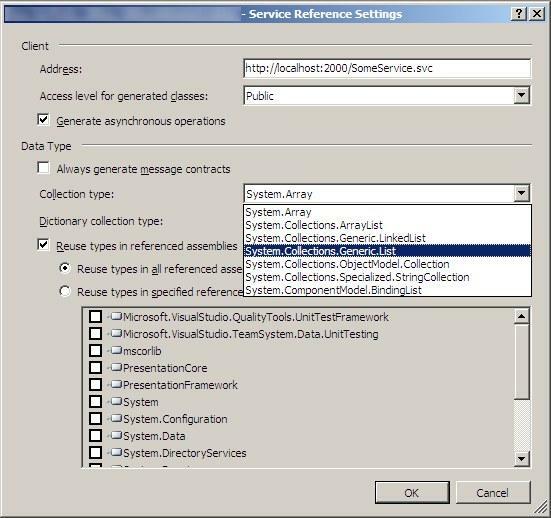 Since deferred custom actions can only access one property (CustomActionData), all information needed by be managed installer must be placed in this property. And since the CustomActionData is only an unstructured simple string property, some form of serialization is needed to put multiple properties into it. To support all four methods of the managed installer class, you'll have to create and sequence eight custom actions: For each of the four methods (Install, Commit, Rollback, Uninstall) one action for the parameters (CustomActionData) and one action to run it. Multiple managed installers will seriously degrade the readability of your Windows Installer XML file. That's why a took the code from the article and put it into a Windows Installer Xml Extension. I also created a small framework to simplify the development of managed installers. The extension makes it very easy to call managed installers or managed custom action. In line 5, the property TargetDir is accessed. This property contains the value as specified in line 15 of the Windows Installer XML file. But far more interesting are the lines 7 and 11: These lines access the Windows Installer process and report details about what the custom action is doing. The two function wrap two flavors of the MsiProcessRecord function. The StartAction method reports the start of a major action (such as "Copying files" or "Creating registry values"). Additionally, a format string for details is specified, in this case "Waiting  more seconds"). The ReportDetails now just take the replacement values for the format string, in this case the number of seconds remaining). Another important method of the InstallerContext class is the LogMessage method which writes directly to the Windows Installer log. Note that you don't have to use this method to log data. You can also use InstallContext.LogMessage or Trace.WriteLine or Console.WriteLine. The output of all those methods is captured and written to the log. All unhandled exceptions from an Installer class are catched by the framework and cause an error message to be displayed. Unhandled exceptions in the Install, Commit and Rollback methods cause the installation to be aborted. If an exception occurs in the Uninstall method, an error dialog is displayed, but the uninstall will continue. The installer will only be invoked if the component the file is associated with is installed. BinaryKey: If you want to run the custom action in the immediate sequence or in the InstallUISequence table, add the assembly to the binary table (via the Binary tag) and enter its key here. FileKey: If you want to run this custom in the deferred sequence, add the assembly to the file table (via the File tag) and enter its key here. Impersonate: Yes to run the custom action in the security context of the logged on user. False otherwise. The default is true. Only valid for deferred custom actions. Action: The name of the managed custom action to run. After: The name of the action the managed custom action should be executed after. Before: The name of the action the managed custom action should be execute before. Sequence: The absolute sequence where the managed custom action should run. SequenceTable: The name of the sequence table where the managed custom action should be scheduled: Either InstallUISequence, InstallExecuteSequence, AdminUISequence, AdminExecuteSequence. This implementation has full access to the MSI properties (see line 5, if scheduled as immediate action) and of course access to the Installer log via InstallerContext.Current.LogMessage. The view returns a RecordCollection which in turn provides access to it's Record instances. Each record consists of one or more fields. Note that if you create a record with the Record.Create(int columnCount) method, the resulting record will have columnCount+1 fields - 0 to the specified value. To load the .NET runtime into the process I use the CLRHosting project from the article mentioned above. I have replaced all dangerous API calls (strcat, sprintf) with secure ones. But my C and C++ knowledge is VERY limited. I would appreciate it if someone with more knowledge could take a look at the code…. I have also made significant changes to the managed part of the solution. Mainly, I have encapsulated all unmanaged MSI handles in a custom SafeHandle class. Managed custom actions and managed installer classes don't add ticks to the progress bar. A much cleaner approach is to call the custom action in a separate process and provide access to the Windows Installer context via remoting. This approach is dicussed in more detail in the article A New Approach to Managed Custom Actions by Christopher Painter. Unfortunately he didn't release any source code and I'm lacking the necessary C and C++ skills right now. Just copy the zip file to a directory and decompress it. In your WIX Project add a reference to the ManagedInstallerWixExtension.dll. In your setup file add the namespace http://schemas.infinitec.de/wix/MCAExtension to the list of namespace definitions. The extension is compiled against WIX 3.0.361 (build from December 21, 2007) using .NET 2.0. The authors of the original articles haven't lost a word about the license, so I assume it's freely available. To keep this stuff freely available I publish this work under the Common Public License, the same license Windows Installer XML is published under. Since I'm using WPF here I badly missed one list in the available dropdown: The ObservableCollection<T>. If you change the TypeName attribute from System.Collections.Generic.List`1 to System.Collections.ObjectModel.ObservableCollection`1 the service proxy generation tool will use ObservableCollections in the next update. And the configuration editor will just show a (Custom) in the drop-down, so you can still use it to modify the other settings. 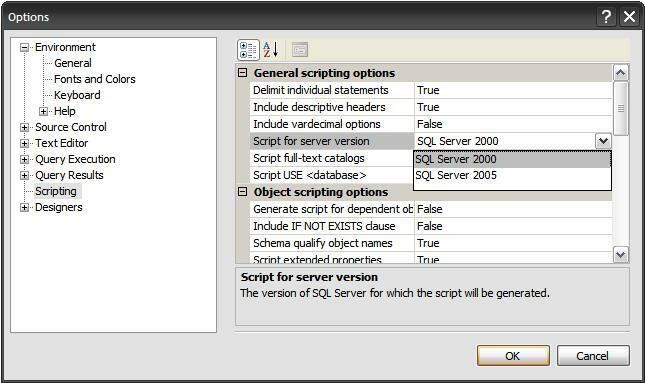 A very nice feature was added to the SQL Management Studio with SQL Server 2005 Service Pack 2: The ability to generate scripts which are compatible with SQL Server 2000! To enable this option, open the options dialog (Tools --> Options) and select the Scripting node on the left. 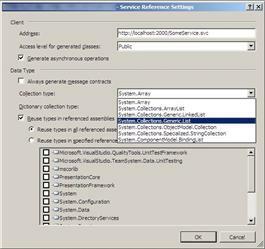 Click on Script for server version and select either SQL Server 2000 or 2005. This will compute the hash for the specified filename. But if your file is very large, it would be nice to have a progress bar. But ComputeHash does not implement some sort of callback mechanisms to report progress. But the HashAlgorithm class (which all hash algorithms in the .NET Framework derive from) has two other methods: TranformBlock and TransformFinalBlock. These methods make it possible to compute the hash from discrete blocks of data. For every block other than the last, call TransformBlock. For the last block, call TransformFinalBlock. The resulting hash is now accessible via the HashValue property. The full source code is attached to this article. This happens when you bind a data field with a DateTime datatype to a textbox, either with the BoundField method or with the <%# Bind("...") %> keyword. One additional requirement for this error to happen is that the user local is set to non-english (respectively the invariant culture). 29.11.2006 09:12:24 (e.g. dd.MM.yyyy hh:mm:ss). When ASP.NET attempts to write back the changes made by the user, it reads the value from the textbox and tries to convert it from a string to a DateTime object. It does this by retrieving the TypeConverter responsible for the DateTime class and calls typeConverter.ConvertFromInvariantString(). This obviously fails with a non-english string and produces the error seen above. The default.aspx file in the attached Visual Studio Solution shows this error. The solution.aspx file implements this workaround.